This cute plush toy of Mickey Mouse, the iconic Walt Disney character, is made from a soft material that almost begs to be cuddled. The mischievous mouse will surely quickly become a faithful companion to any child, comforting him or her and coming along on all kinds of wonderful adventures. This toy complies with the Toy Safety Directive 2009/48/EC of the European Parliament and of the Council of 18 June 2009, as well as with all required standards as per Czech legislation. It of course also bears a CE conformity marking. 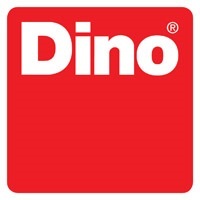 For shipping to other EU countries visit this page Dino Walt Disney Mickey Mouse. Für Versand nach Deutschland, besuchen Sie bitte Walt Disney Mickey Mouse. Chcete doručit zboží do Česka? Prohlédněte si Dino Walt Disney Mickey Mouse. Chcete doručiť tovar na Slovensko? Prezrite si Walt Disney Mickey Mouse. Für Versand nach Österreich, besuchen Sie bitte Walt Disney Mickey Mouse. Magyarországra történő kiszállításért tekintse meg ezt a termékoldalt: Dino Walt Disney Mickey Mouse.